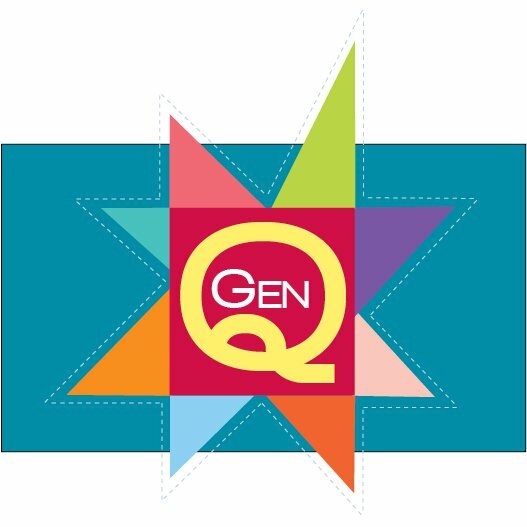 You probably already have heard, but in case you haven't, Generation Q, one of my favorite online modern quilting/crafting/sewing magazines, is going to print! But, they need a little help to do that, so they've begun a Kickstarter project to procure the funds needed to get started. And boy, has it been so exciting to watch those numbers steadily rise the past couple of days! The way Kickstarter projects work is that the program doesn't receive any of the funding that people pledge unless their goal is reached, so please keep those donations rolling in! They can go over their goal (and wouldn't that be great!!) but if they don't meet it, they get nothing. There are some great people involved with the magazine, and Jake, Melissa, Megan, and Scott are working so hard to bring Generation Q to your local book stores and fabric shops. So, let's help make it a reality! Visit their Kickstarter page and please donate what you can. Love the machine quilting on your header! Did you do it? I sent a donation. Thanks for promoting this project. I'm all for supporting the next generation of fabric lovers. Thanks so much! I think it's really going to be a great magazine.